Whow: This result about the pros and cons about keeping Guinea Pigs was overtaken. Have a look to what keeping of Guinea Pigs mean to you! Are cavies the right choice for you? [Auto translated] We decided to keep Guinea Pigs unintended. Our first cavy came along as a holiday supervision but it remained because of some serious allergy of its origin owner. 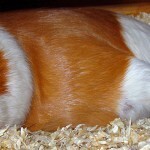 Years later we’ve got more than 10 Guinea Pigs and for the first time we have made a comprehensive list about the pros & cons of keeping Guinea Pigs. Here are the results. As a matter of fact this might be the very first and biggest reason for most owners. You see it – you love it! Who can really resists to their lovely cuteness? Guinea Pigs gets up to 6-8 years old and some of them even could getting older. We decided this to be a really pro argument. Children are able to establish a deep bound and keeping Guinea Pigs may help to get sense of responsibility. A Guinea Pig is not much susceptible for diseases if it come along from a respectable breeder. Be aware that pets in pet shops are mostly overbred. This could be a problem on the long tail. Guinea Pigs will greet you as soon as if you put your key in the door. For sure they expect no you but rather their new meal you will give them (hopefully). Anyway you never feel alone if you keep Guinea Pigs at home. Guinea Pigs are very gentle animals. In the very most cases you’ll get never be bitten by one of them. Also among each other they are very pacific. Of course Guinea Pigs need a lot of space relating to their size. But they stay at home and will never leave their room. They does not spread their fur overall and you do never need to take them out like dogs. Guinea Pigs are really vegan. This makes it convenient to feed them and it does not produce bad smell like cat or dog food will do at least in the trash can. Ok, these arguments are our pros in the list. 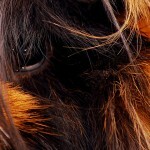 Let’s have a look about the cons of keeping cavies. As every pet at home it need its space. You should not keep them individual so you need really much space. Guinea Pigs are sprinter and a default cage from a pet shop does not fit their needs. You’ll think about a compound at home. You need to mock out the cage or compound regularly in-depth to prevent bugs/vermin and keep them healthy. Some breeds need attention to its fur. All breeds needs attention to their claws. 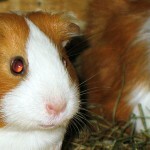 Guinea Pigs does not leave their home themselfs and they do not want that you do it for them. What about holiday? You will need someone to keep them at this time. Yes, Guinea Pigs might smell from time to time if you forget to clean up the cage duly. Also bucks can build up some stange and nuisance odor (and nothing will help at all). Guinea Pigs are flight animals. They lost their fearfulness over the years bit by bit but with a Guinea Pigs you’ll never get that confidingness like cats or dogs can give to you. Guinea Pigs do not care about your circadian rhythm and might create some uproar even if you are trying to sleep. Guinea Pigs are cheap only at first glance because the price for the animal itself is cheap. There are a lot of follow-up costs you should consider: vet bills, cage, litter, hay, vegetables. They will produce a lot of waste. Every time you mock up the cage you will ask yourself where to dispose litter. It is no surprise to tell that Guinea Pigs dies as well as all do. But the more you keep the more you need to bury and it could be a serious mental problem. The result was overtaken for us. We keep Guinea Pigs for a very long time and tought the cons will be clearly dominate but there are a lot of pro aguments. You should decide which arguments you give value or not. For sure this list can’t be complete. Do you have any further pro or con argument? Leave a comment! Was this helpful to you? You can give us a feedback with just one click. Or do you have further questions about it? Leave a comment! Guinea Pigs as pets for childs? Animal shelter, breeder or pet shop?